Don’t you just love that you can ask your chef what ingredients are in a dish and they can tell you just by tasting it? What’s even better is when you can describe how something tastes over the phone that is just not quite right, and they can tell you how to fix it without even tasting it. That’s just crazy! My chef/husband’s knowledge about food and his ability to taste individual ingredients in food just amaze me. You would think that after 20 years I would be used to it, but sometimes he still surprises me. 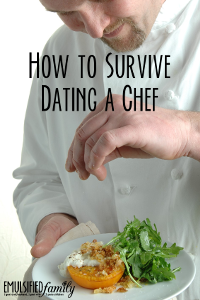 Let me start of by mentioning my chef/husband’s view on food and the preparation of it . . Simple, Seasonal, Local. Why put 20 ingredients in something if it would taste better with 4? Why buy an onion chopper, if you have a good knife? Random tangent . . . Sorry. Where Do You Eat When You Travel With a Chef? While the internet is a great resource for finding local restaurants, it doesn’t tell you much about the quality of the food. And we all know that reviews on Yelp or another site like it, don’t necessarily represent what the restaurant is ACTUALLY like. This leaves us back to asking the locals where to eat. 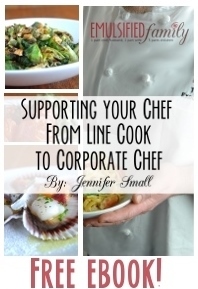 What is it like to Cook for a Chef? “What is it like to cook for a chef?” Depending on who you ask, you’ll get very different answers. If you ask one my friends, they will tell you they are very nervous to cook for my chef/husband. If you ask an aspiring line cook what it’s like to cook for an Executive Chef in an interview, they’ll probably tell you they were very nervous because they wanted to do well and get the job. 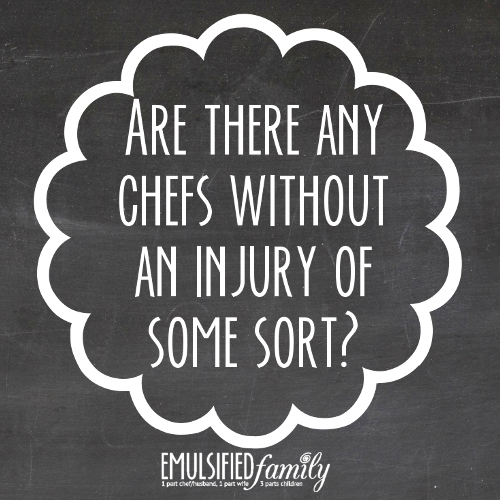 Are There Any Chefs Without an Injury of Some Sort? Ask any chef wife or significant other whose chef has been working in the kitchen for a while about their chef’s injuries and well . . . you better grab a cup of coffee and a chair because you might be there for a while. 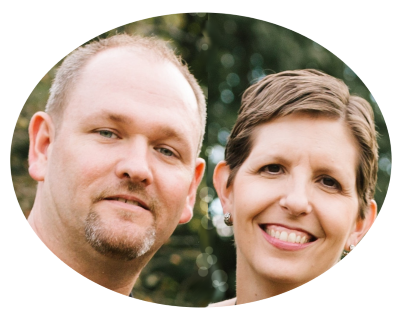 Over the past 19 years we’ve dealt with cuts, burns, a broken back and torn ligaments, just to name a few. However, no matter how good of shape you are in, sometimes injuries happen.